Violence and abuse affect all kinds of people every day. It doesn't matter what race or culture you come from, how much money you have, how old you are, or if you have a disability. Violence does not discriminate. However, women are victims well over 70% of the time and usually at the hands of man. Abuse can be physical, mental, and emotional. Violence against women in any form is a crime, whether the abuser is a family member; someone you date; a current or past spouse, boyfriend, or girlfriend; an acquaintance; or a stranger. You are not at fault. You did not cause the abuse to occur. If you or someone you know has been sexually, physically, or emotionally abused, seek help from other family members and friends or community organizations. Talk with a health care provider, especially if you have been physically hurt. Learn how to reduce your risk of becoming a victim of sexual assault or sexual abuse before you find yourself in an uncomfortable or threatening situation. One important part of getting help is knowing if you are in an abusive relationship. Sometimes it can be hard to admit that you are in an abusive relationship. 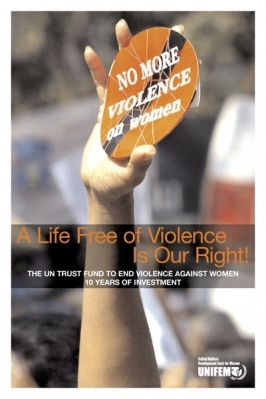 In most industrialized nations, about 4 women a day die from violence from a man. There are one million batterings and 300,000 sexual assaults. It is cowardice and a denial of someone’s basic human rights, stripping them of their dignity and self-respect. It is like murdering someone’s soul. Worldwide, anywhere from 10 to 50% of the female, adult population reported abuse of one form or another. Often they were multiple abuses, such as emotional and sexual. The World Heath Organization has done more than one single entity to not only prevent this abuse, but to educate and hopefully eliminate it. It will never be completely eradicated but nations should see that the dignity of every human being, regardless of gender, is protected of their human rights. There is no excuse for violence against women, especially at the hands of a male. Crimes against women, both individual and cultural, are more than just plain nasty and unjustified. They deprive humanity of approximately 50% of its potential intelligence and capability when humanity is in desperate need of all the intelligence it can muster to merely survive. Well, gentlemen, I'm afraid neither could they murder our souls, neither could they deprive us from our potential intelligence and capability, they're gonna have to cope with us - the survivers - and our will to make justice happen, and our fight for a better world. The illusion that some sort of opression can be maintained forever and will work out is nothing more that: a mere illusion. Good comment 'woman' I just really hope more women have to confidence and act!